Rock Climbing Wall The Rock Climbing Wall is the perfect rental for any festival or school event. The 20 ft wall will meet most risk management requirements yet it is tall enough to be a challenge. 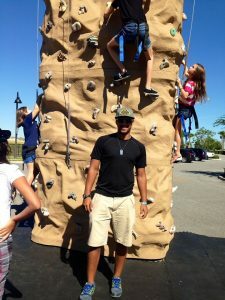 The portable rock wall has 4 stations with an auto belay system. Climb up the wall and you will glide safely to the ground once you reach the top. We offer a variety climbing harnesses that will fit climbers from 40 lbs up to 200 lbs. Our staff will assist climbers in putting on and taking off their harnesses. The four different routes will challenge even a teenage climber. Beginning with an easy side for new climbers and increasing in difficulty the wall is perfect for all age groups. Climbers do need to be at least 36 inches tall and weigh 40 lbs. to climb. 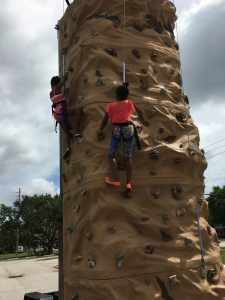 The Rock Climbing Wall is the perfect rental for any festival or school event. The 20 ft wall will meet most risk management requirements yet it is tall enough to be a challenge. The portable rock wall has 4 stations with an auto belay system. Climb up the wall and you will glide safely to the ground once you reach the top. 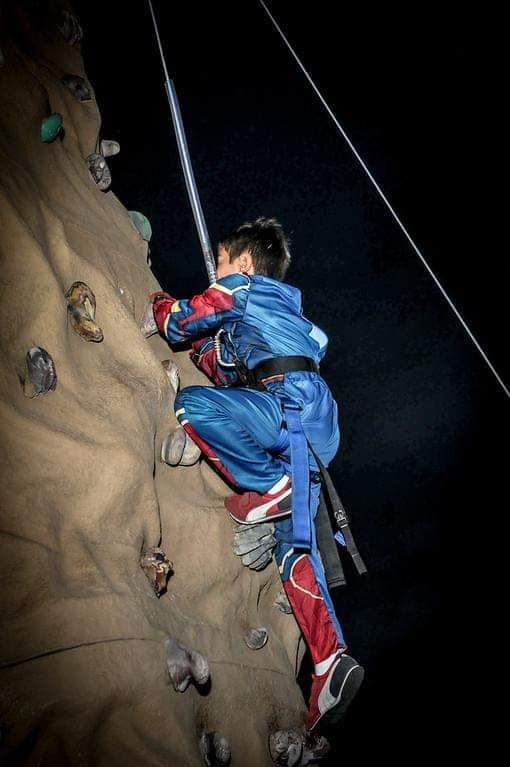 We offer a variety climbing harnesses that will fit climbers from 40 lbs up to 200 lbs. Our staff will assist climbers in putting on and taking off their harnesses. Once you reach the top ring the bell to let everyone know you made it. We do offer fencing for this ride. Additionally, our wall is inspected every year with the cables changed as required. The wall is inspected prior to any use to ensure that everything is working correctly.